Our goal is to connect people with the best local experts. We scored plumbers on more than 25 variables across five categories, and analysed the results to give you a hand-picked list of the best plumbers in Columbus, OH. A Plumbing Inc. is a family-owned company based in Columbus that has been in business for nearly 40 years. The company has been accredited by the Better Business Bureau since 1985 and offers a wide variety of plumbing and related services, including bathroom and kitchen remodels and the installation of accessible plumbing features for people with disabilities. Same-day service is available 24 hours a day. All Hours Emergency Plumbing focuses, as the name would suggest, on emergency plumbing services. Since its founding in 2005, the business has provided on-call emergency plumbing 24 hours a day, seven days a week in the Columbus metro area. Along with all the standard residential plumbing jobs, All Hours also offers sewer and drain cleaning services. Amanda Plumbing Sewer and Drain is located in Delaware, Ohio and has been doing business in the Columbus area since 1995. The business is highly rated, Better Business Bureau accredited, and an Angie’s List Super Service Award winner in 2012. Amanda Plumbing employees are available 24/7 for plumbing issues including mobile home plumbing repairs and well pump services. Best Plumbing Ltd. is located in New Albany and has been serving the Columbus metro area, among others, for more than 20 years. The company is family-owned and takes pride in the fact that all of its plumbers are full employees, not subcontractors. All types of residential plumbing services and some commercial services are available, including the repair of sump pumps, gas lines and water heaters. Clive Stephens Plumbing & Mechanical, LLC is a Columbus plumbing company that has served the Central Ohio area for nearly 15 years. Stephens is a certified Master Plumber and the company has been accredited by the Better Business Bureau since 2010. In addition to home plumbing, the company services medical, restaurant and laundry facility plumbing systems. Crawford Mechanical Services is based in Columbus and has been serving the city and the surrounding area for more than 20 years. The company has received a STEP award from Associated Builders and Contractors, Inc., and holds memberships in Builders Exchange Ohio and the American Subcontractors Association. The employees accept both residential and commercial jobs, including backflow device repairs and bathroom remodels. Drain Master is a Columbus-based, family-owned plumbing and drain cleaning company that has been serving the Columbus metro area since 1998. The company received Better Business Bureau accreditation in 2012 and offers a variety of residential plumbing and drain cleaning options. Employees are on call 24/7, seven days a week for emergencies. Drains N Pipes is a Columbus plumbing company that has been serving the area since it was established more than 20 years ago. The company provides standard residential plumbing services, including drain and sewer cleaning and water heater repairs. In addition to plumbing, gas and electric line repairs are also available. Emergency Plumbing Service of Delaware, Ohio has been in business for almost 40 years serving the Columbus area. The company has been accredited by the Better Business Bureau since 2009 and receives high online ratings across the board. 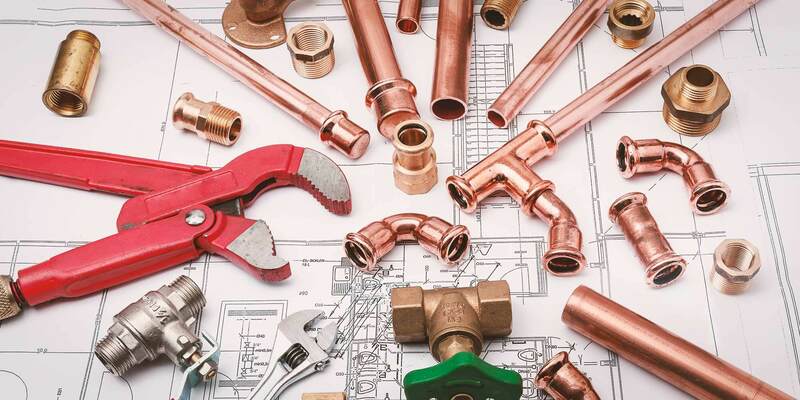 A wide selection of residential, commercial and industrial plumbing services are available, and as the name suggests, the company’s plumbers are available 24/7 for emergency calls. Love Heating, Cooling and Plumbing is a long-standing family-owned business, tackling plumbing and HVAC jobs in Columbus and the surrounding area for the past 46 years. The company serves both residential and commercial clients, providing standard plumbing services along with air conditioner and furnace troubleshooting and repairs. Bathroom remodels and roto rooter services are also offered. McAtee Plumbing, Heating & Air has been in business in the Columbus area for 30 years and has been Better Business Bureau-accredited since 2011. The company tackles common residential plumbing issues as well as providing HVAC, sewer and drain services. Eco-friendly geothermal heating systems are also available for installation. McKinney Plumbing Services LLC is one of the most established plumbing companies in Columbus with almost 50 years of experience serving clients in the area. Both residential and commercial jobs of any size are covered, including gas, water and sewer line repair and polybutylene water line replacement. Owner Doug McKinney is a certified Master Plumber with more than 40 years of plumbing experience, and McKinney Plumbing is Better Business Bureau-accredited. Plumbing Installers LLC is based in Huber Heights and serves the Columbus metro area. All the company’s services are backed by what they call a “No Quibbles Guarantee,” which means that any additional work required after completing a job is provided for free and the customer receives 20 percent off the next plumbing job they bring to the company. Plumbing Installers serves residential and commercial clients, including industrial, restaurant and university customers. Plumbing One is based in Canal Winchester and serves clients in several other Central Ohio cities, including Columbus. The company has been in business for more than 20 years and consistently receives rave reviews from former customers. Plumbing One provides a full range of plumbing services for residential and commercial clients and is open 24 hours a day, 7 days a week with no extra charge for night and weekend calls. The company earned the 2014 Angie's List Super Service Award for outstanding service. Terra Plumbing, LLC was founded more than 10 years ago in Columbus and serves the city and its metro area. The company’s technicians are available around the clock to help with residential plumbing issues, including those related to remodels and new construction. Terra Plumbing also provides plumbing inspection services for home buyers and sellers and consultation for individuals and companies who are planning to build a home. The Eco Plumbers is based in Hilliard and has been providing ecologically sound plumbing services in the Columbus metro area for almost a decade. The company has been accredited by the Better Business Bureau since 2007 and offers free inspections and quotes before beginning jobs. Both residential and commercial plumbing services are available, and The Eco Plumbers recycles all waste created on each job site. The WaterWorks is one of the oldest Columbus plumbing companies, with more than 80 years of plumbing experience in the area. The company has been Better Business Bureau-accredited since 1989. The WaterWorks has received numerous awards, including Angie’s List Super Service Awards every year from 2000 to 2014. Along with residential and commercial plumbing services, the company also provides fire and flood restoration services, including mold mitigation. Windsor Rooter Services was established in Columbus 15 years ago and has been serving the Central Ohio area since. The company tackles a variety of plumbing jobs in residential, commercial, retail and multifamily buildings. A 24-hour emergency plumbing line is open for calls seven days a week, and all calls receive a response the same day they are made.